Why Do it? 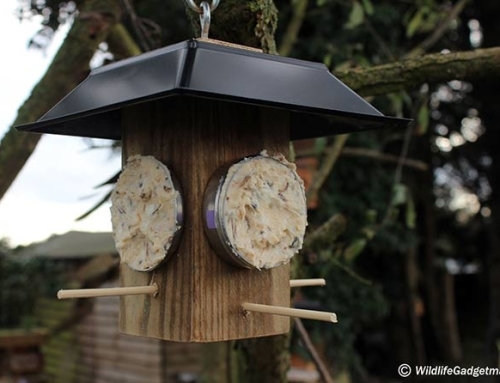 Providing food for garden birds is a great way to help wildlife in your garden. Tools Required: A pair of scissors. How many of us can honestly say we never have the occasional takeaway meal? Quite a few probably but, if like me, you succumb to the occasional craving for a chicken bhuna or sweet and sour chicken balls you will no doubt end up with a few empty takeaway tubs. 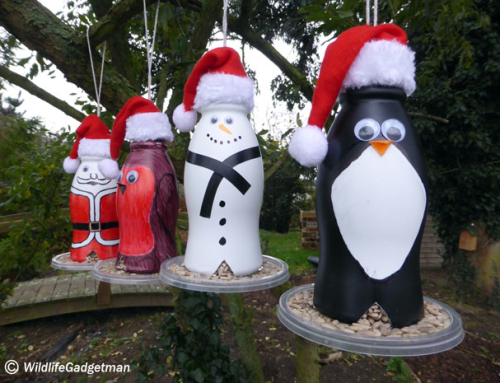 Rather than just throw them in the recycling bin why not have a go at ‘upcycling’ them into a handy window bird feeder?! It doesn’t have to be just takeaway tubs, any similar size container with a snap on lid will work just as well! This shouldn’t take long! 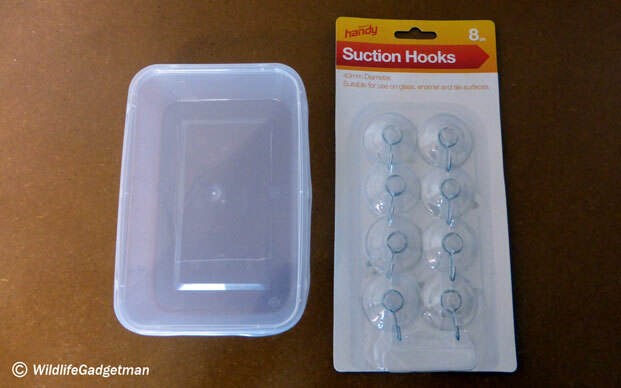 All you need is a plastic style takeaway tub (or something similar) with a locking lid and a couple of suction hooks. I picked up a pack of 8 suction hooks for £1 from Tesco. Bargain! Now all that’s left to do is to cut out, as neatly as you can, a rectangle in the base of the takeaway tub and a similar size opening in the lid. Only cut three sides of the opening on the lid so you can bend the lid out and create a small rain guard. 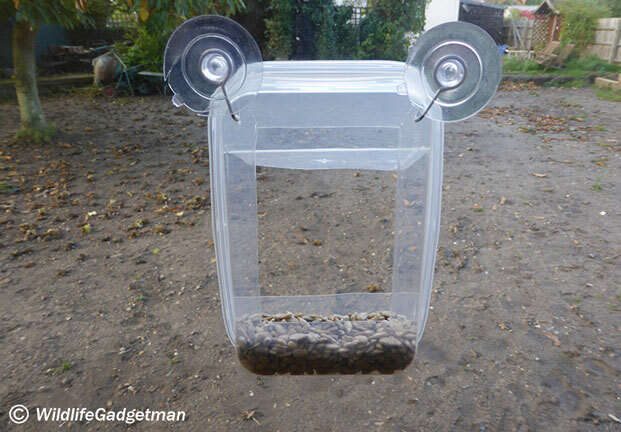 This also helps prevent pigeons and other larger birds trying to land on the feeder. Also, cut the opening towards one end of the tub leaving a larger ‘trough’ for the seed. 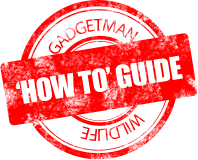 (See image above). 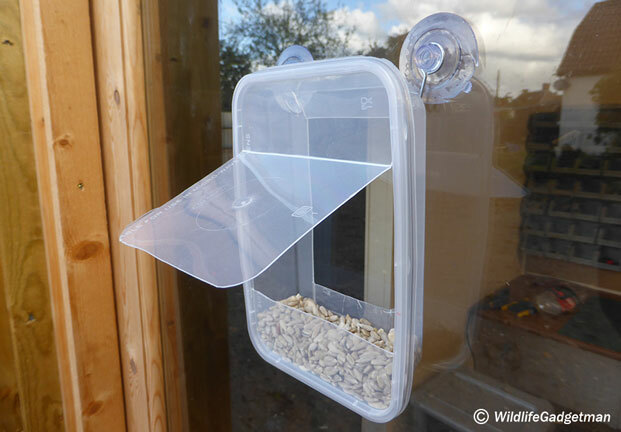 Now all you have to do is fill your new window bird feeder with a small amount of seed and wait for the birds! 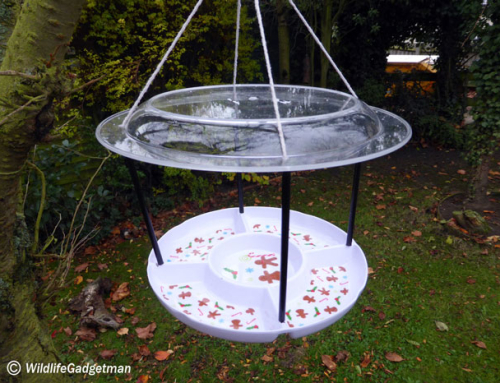 You should easily see the birds coming to the feeder through the opening in the base of the tub. 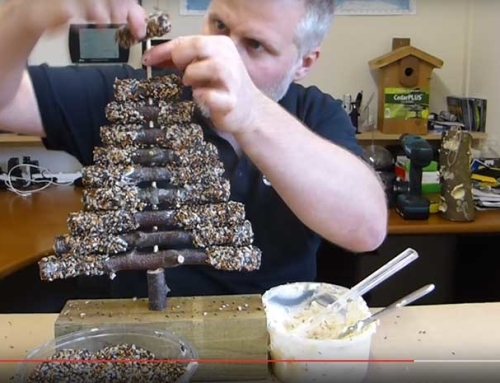 How about that for a nice simple ‘upcycling’ project for your feathered friends! As always, I would love to see your creations. 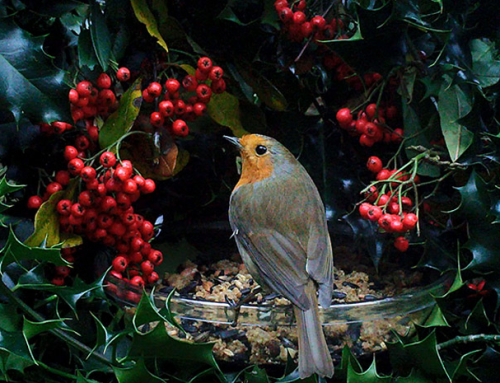 Please feel free to share your pics and stories with me via Twitter and my Facebook page.